With your donation to Boreal, you can get these great premium gifts! Limited quantities of Boreal premium items are still available with your donation to Boreal Community Media. Donate now and get these exclusive premium items! Disappointment Mountain is just east of Disappointment Lake in the heart of the Boundary Waters Canoe Wilderness Area. But here’s nothing disappointing about this interpretation of Disappointment Mountain in the Boundary Waters. 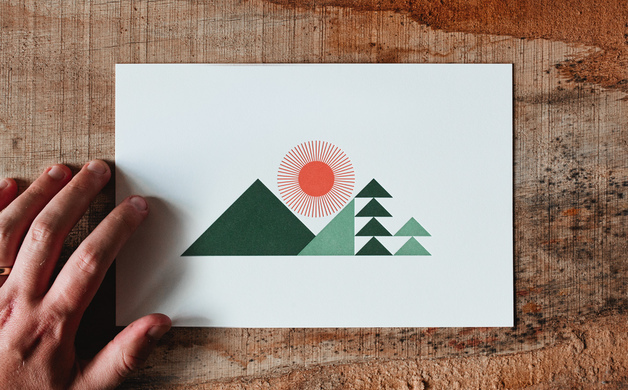 This limited edition poster depicts a sunrise over the mountain. 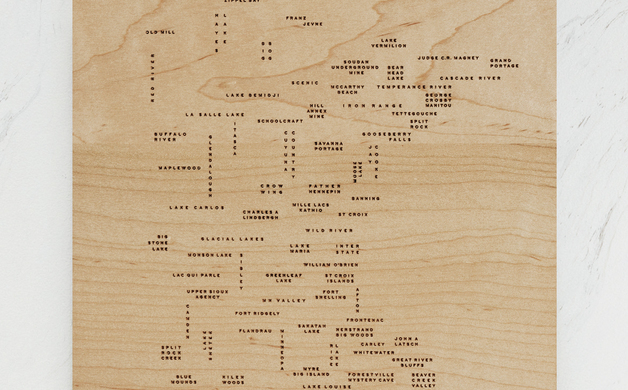 For a donation of $50 and up to Boreal Community Media, this elegantly artful and abstract salute to the BWCAW can be yours. Minnesota is blessed with vast unspoiled wilderness areas. 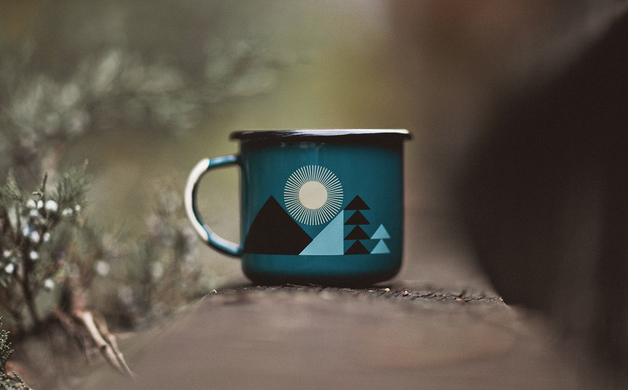 We celebrate these natural gifts with an limited edition MN Wilderness coffee mug. For a $50 and up donation to Boreal Community Media, you can give your family and friends this elegant and useful holiday gift. Just like you, we love our Minnesota State Parks and are blessed to have several here on the North Shore. Celebrate these precious gems with a donation of $50 and up and receive this State Parks poster. 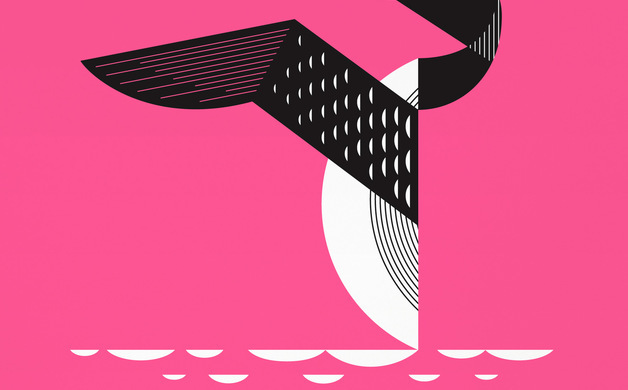 Get this limited edition Pretty in Pink Loon poster for a $75 and up donation to Boreal Community Media and $10 will be given to the Susan G. Komen For The Cure Breast Cancer Foundation. Donate today! 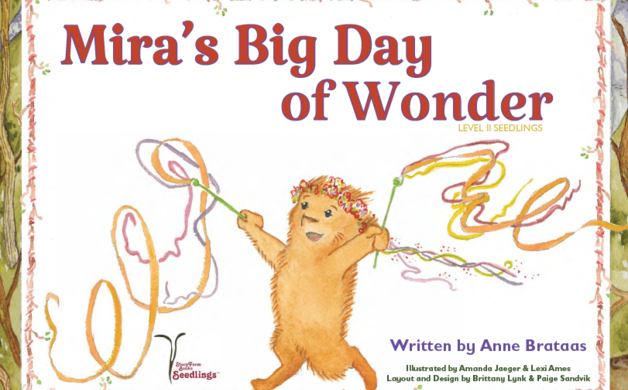 As a special holiday gift to put under the Christmas tree, give a gift of the new children's book "Mira's First Day of Wonder" from Grand Marais author Anne Brataas. Available now with your donation of $25 and up. 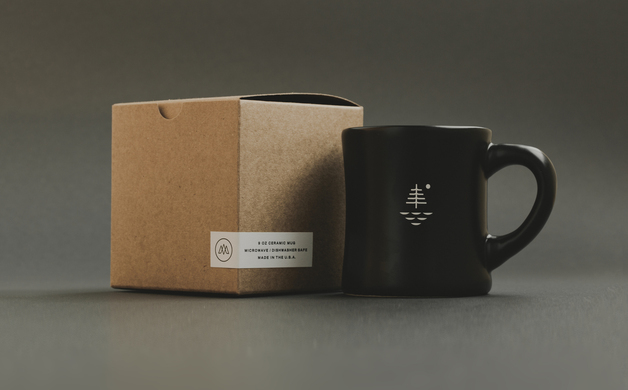 With a contribution of $50 and up, this one of a kind campfire mug inspired by the Boundary Waters can be yours when you become a supporter of Boreal Community Media. 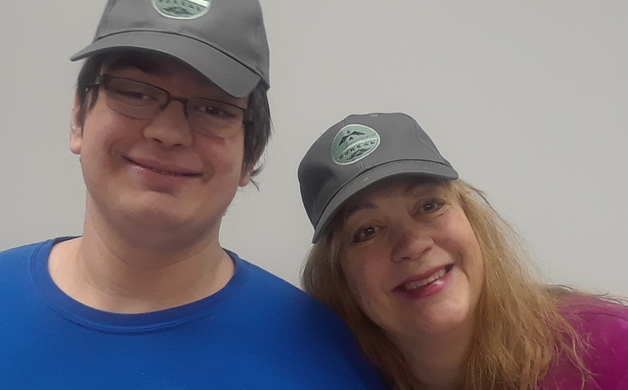 Cook County Middle School Language Arts teacher Susan Nelson and her son Kyle proudly show off their Boreal Hats. For a $25 and up donation to the Boreal Holiday Fund Raising Drive, this limited edition Boreal Hat will be yours. 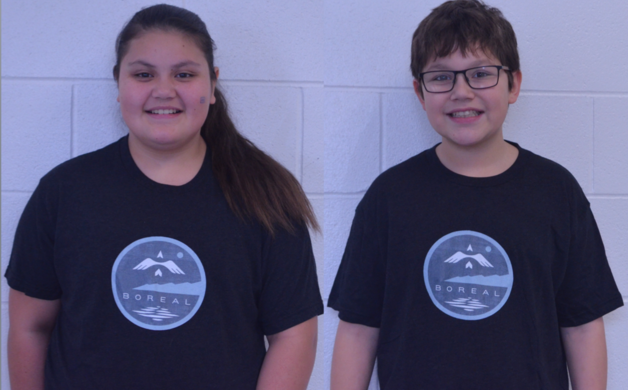 Students Wei-Lani Likiaska (left) and Biidaash Aubid (right) of Grand Portage are beaming as they don their Boreal t-shirts featuring our signature "North Flying Birds" or "Aa-maa-sho-wut Gii-wed-ong Bi-ne'-shiinh-ag" in Ojibwe logo. For a $25 and up donation to the Boreal Holiday Fund Raising Drive, the t-shirt will be yours. 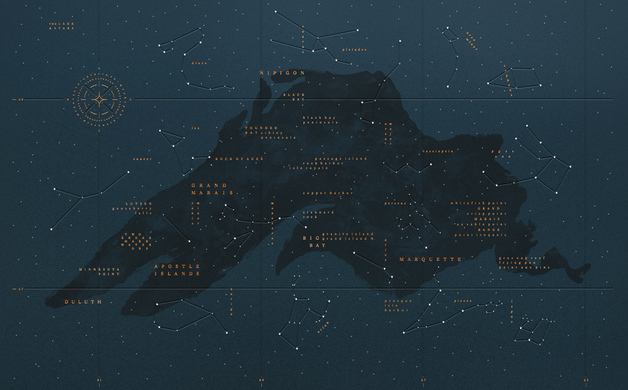 For a $75 and up donation to the Boreal Holiday Fund Raising Drive, the poster will be yours. It is a perfect holiday gift to any family member or friend who loves the North Shore. 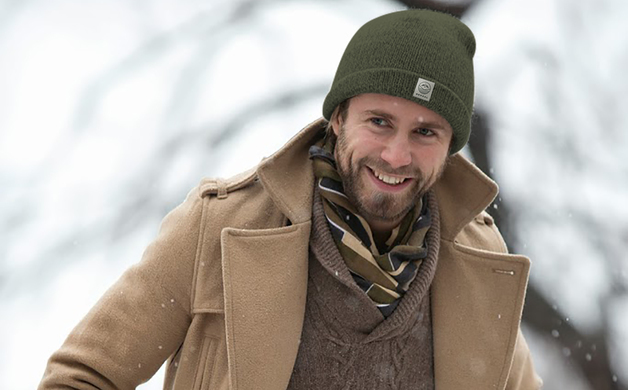 Show your support for Boreal Community Media with a donation of $50 or more - and receive a premium gift of a Boreal stocking cap. We proudly serve our community and humbly thank you for your holiday gift of financial support. Please support Boreal to help keep our community connected.